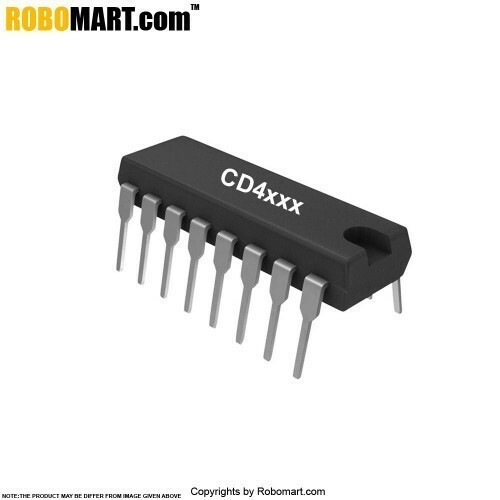 The CD4060B consists of an oscillator section and 14 ripple-carry binary counter stages. The oscillator configuration allows design of either RC or crystal oscillator circuits. A RESET input is provided which resets the counter to the all-O's state and disables the oscillator. A high level on the RESET line accomplishes the reset function. 12 MHz clock rate at 15 V.
Meets all requirements of JEDEC Tentative Standard No. 13B, "Standard Specifications for Description of ’B’ Series CMOS Devices’. All active components on chip. RC or crystal oscillator configuration. RC oscillator frequency of 690 kHz min. at 15 V.
Also Searched as : CD4060 ic.